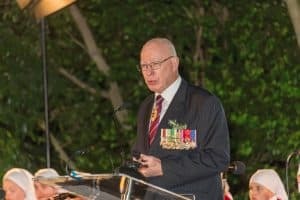 His Excellency the Governor of NSW, General David Hurley AC, DSC, delivered the 2018 ANZAC Address at the Kokoda Track Memorial Walkway Dawn Service, held on the morning of Sunday 22 April and attended by several hundred people. 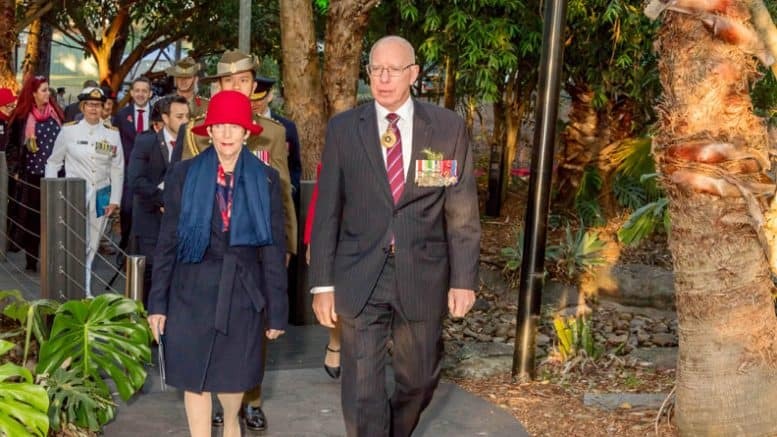 The Governor emphasised the need to maintain educational programs for young Australians, to help them understand our military history and the reasons why we honour the sacrifices of earlier generations. 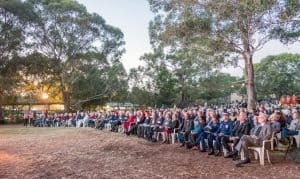 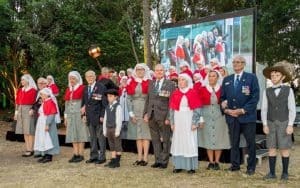 “In a little more than 20 years since it was opened the Kokoda Track Memorial Walkway has become second only to the Anzac Memorial in Hyde Park as the most significant war memorial in New South Wales,” the Governor said, noting also that many school groups take advantage of its Ralph Honner Education Centre. 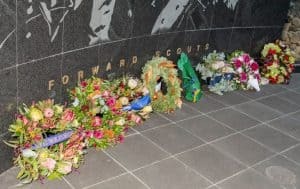 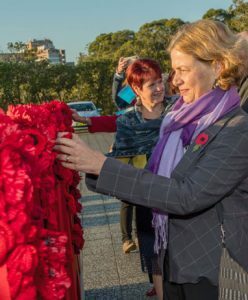 Among those laying wreaths at the Walkway’s centrepiece were diplomats from the USA, Papua-New Guinea, Turkey and Timor Leste, along with Members of Parliament, the State President of the RSL James Brown, and representatives of the Department of Veterans’ Affairs and the Sydney Local Health District. 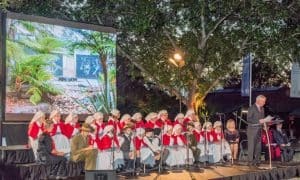 The RSL Youth Choir provided music, including a special tribute to four veterans, including two who saw active service in New Guinea during WWII: Reg Chard and Ray Gentles both of the 55/53 Battalion. 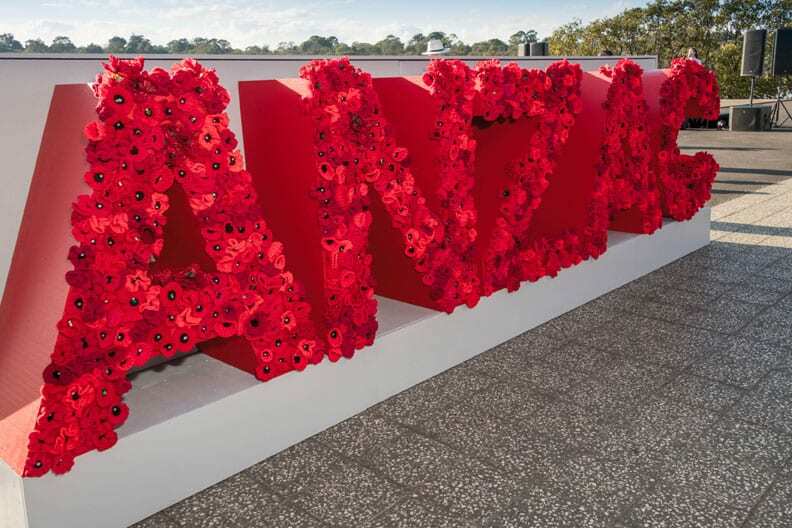 After the service those attending made their way along the Memorial Walkway to Brays Bay where each person was given a red knitted poppy which was then placed on an installation of the word ANZAC.